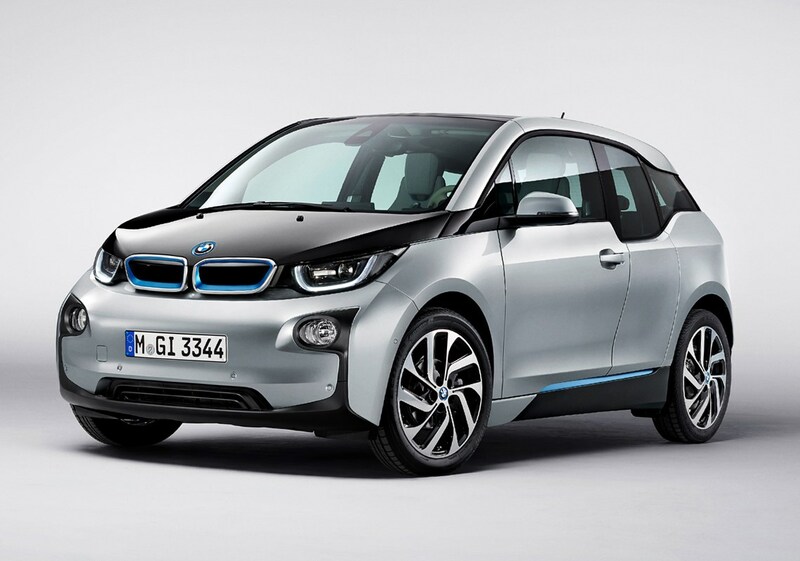 Insurance group: 21 - 29 How much is it to insure? 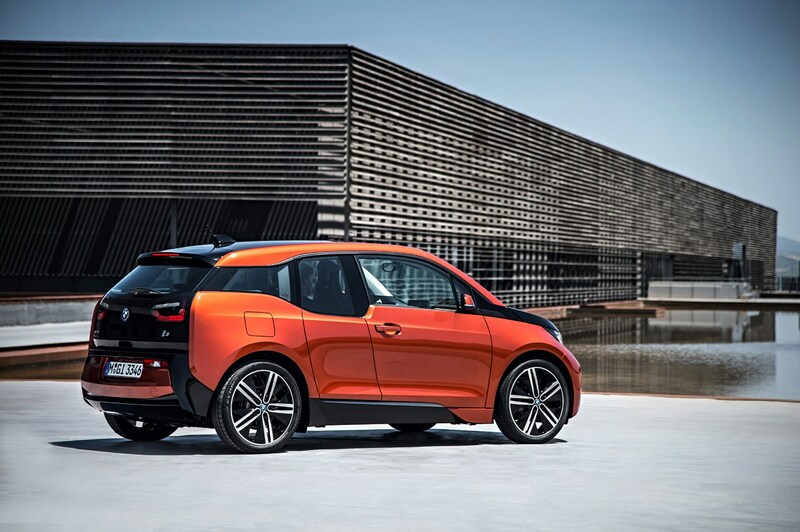 The BMW i3 is the ground-breaking small electric car that spearheaded the German brand’s launch of its i sub-brand for electric vehicles. 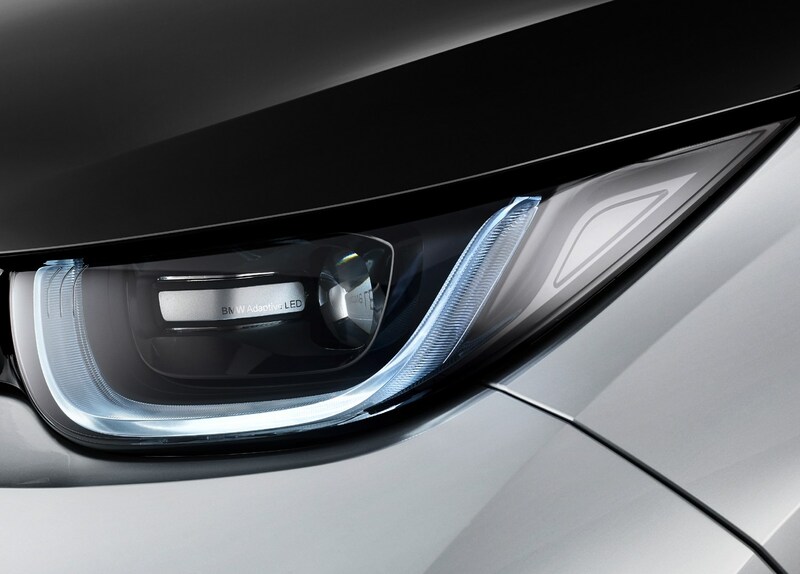 It’s a compact but pricey hatchback to rival Renault’s Zoe and Nissan’s Leaf, but with more premium polish than either. 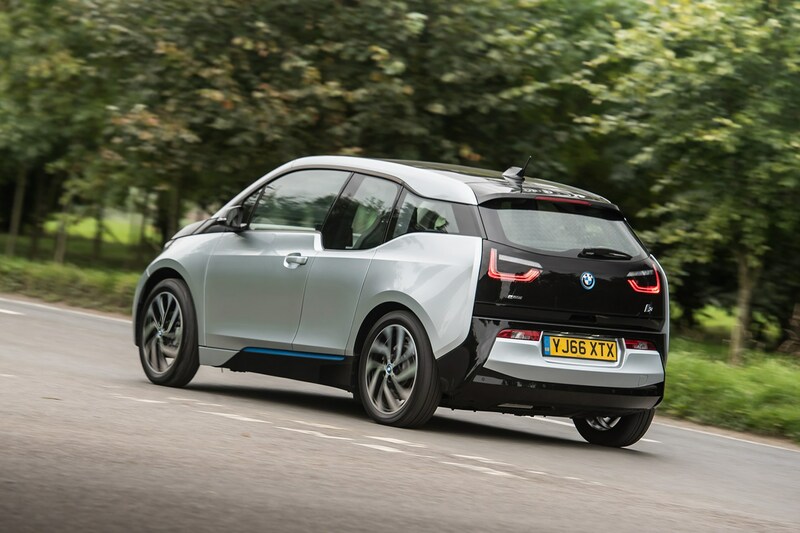 Buyers can choose between the pure electric i3 and Range Extender versions (for which you’ll pay a premium of around £3,000). 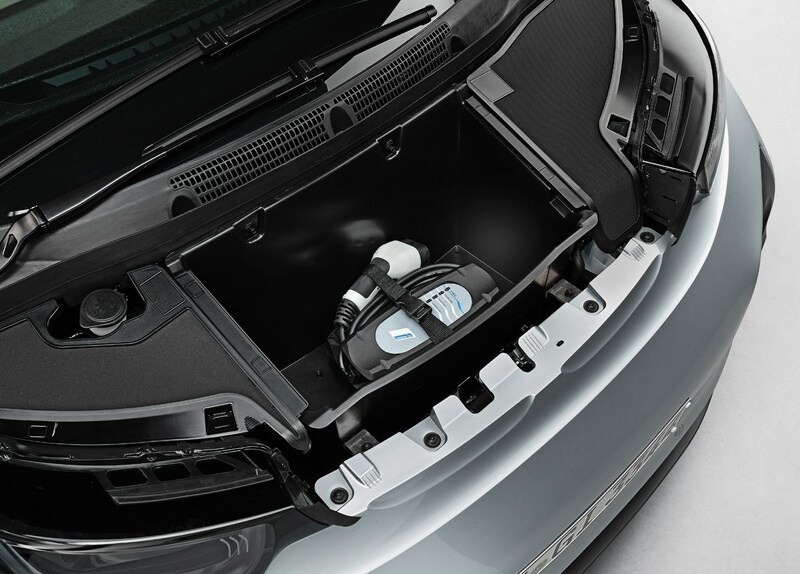 The latter adds a tiny petrol engine which is used as a generator, never to drive the wheels, in order to charge up the battery if it’s getting low. 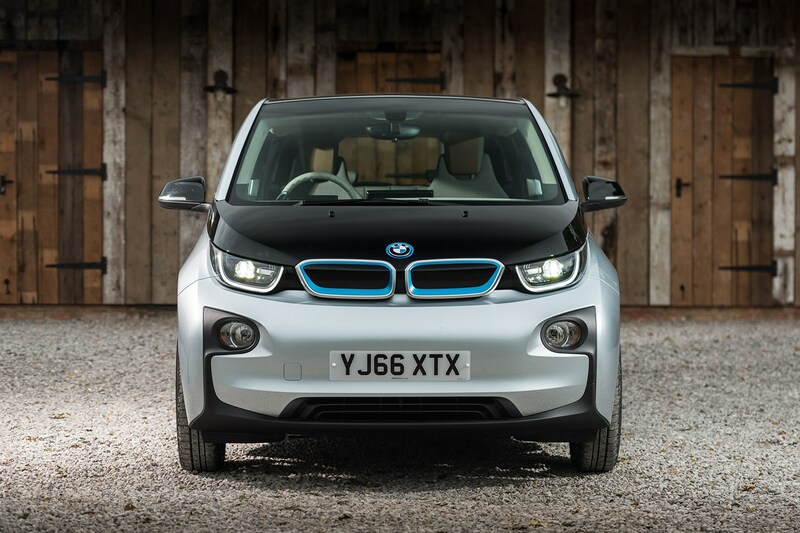 This i3 REX version proves popular with Brits, as it removes much of the range anxiety of running an electric car. 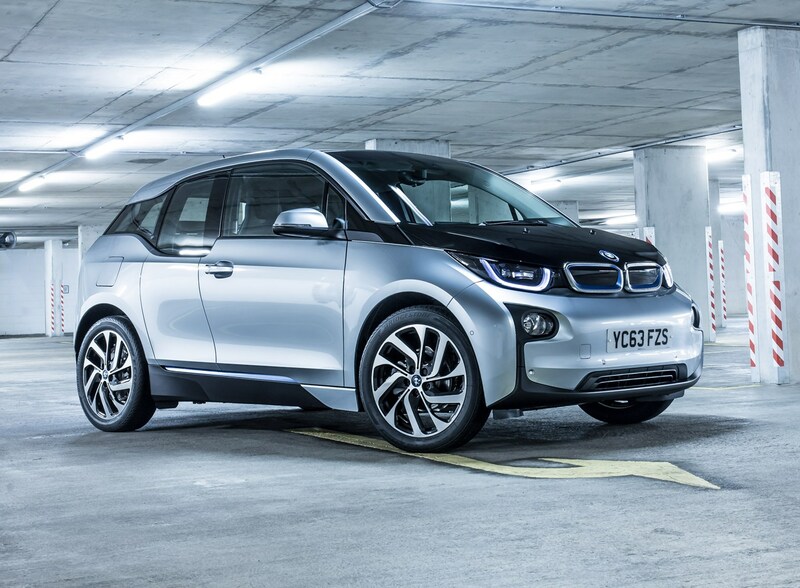 In autumn 2017, BMW added a new, sportier i3S model, which costs another £3,000 again. 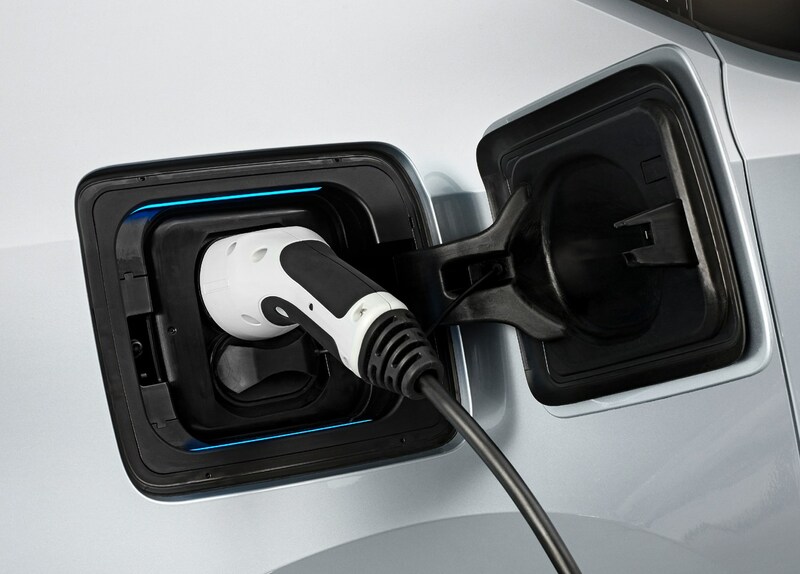 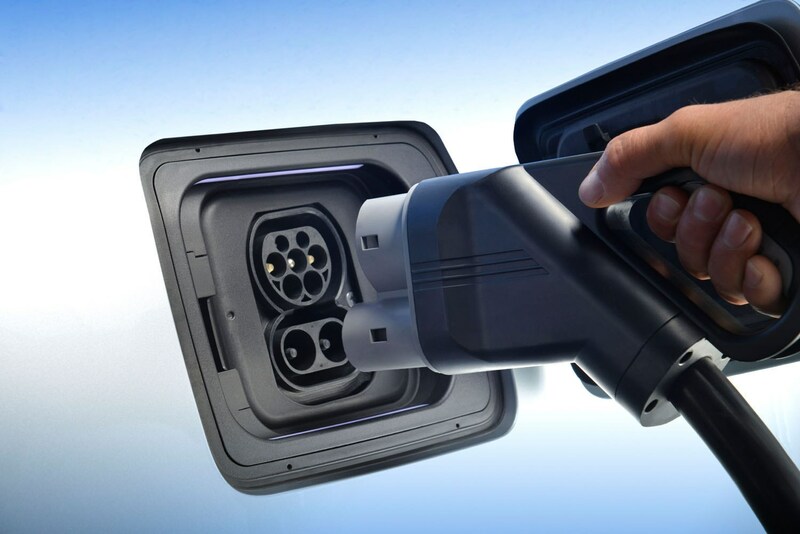 It too is available as a pure EV or with the range-extender option. 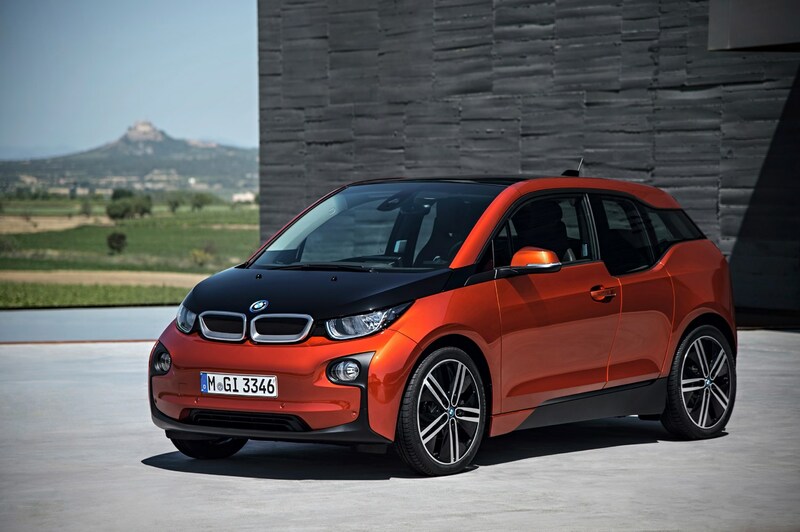 By March 2018 BMW had sold 10,000 i3 hatchbacks in the UK alone, with 2017 being its best-selling year to date, indicating the growing popularity of electric cars. 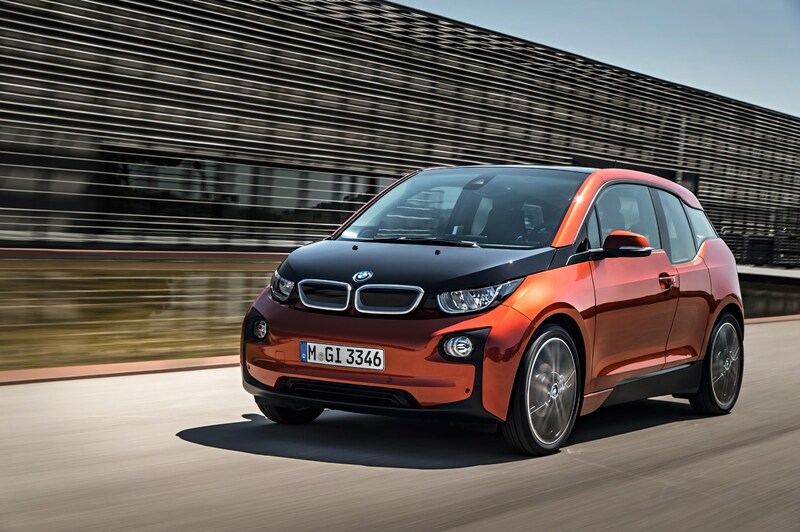 Remember: because the BMW i3 is a very low-emissions electric car, it qualifies for the Plug-in Car Grant which lops £4,500 off the purchase price. 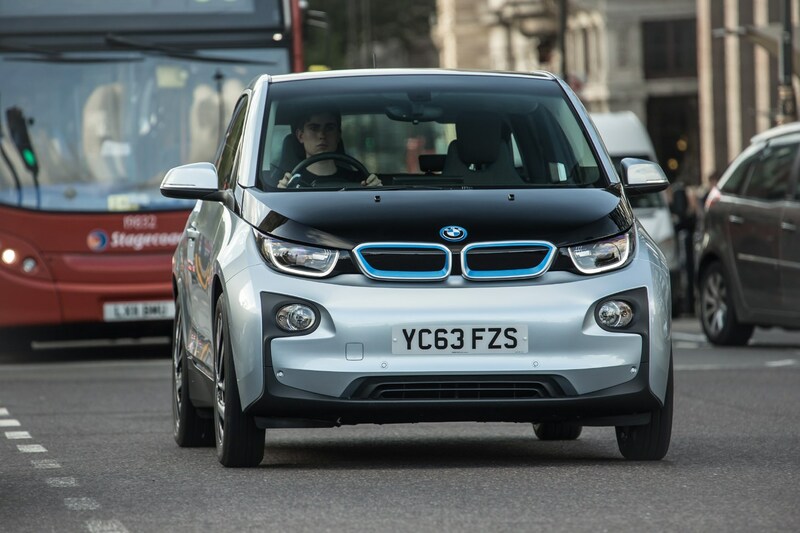 This is great news for buyers, removing some of the sting of choosing an electric car. 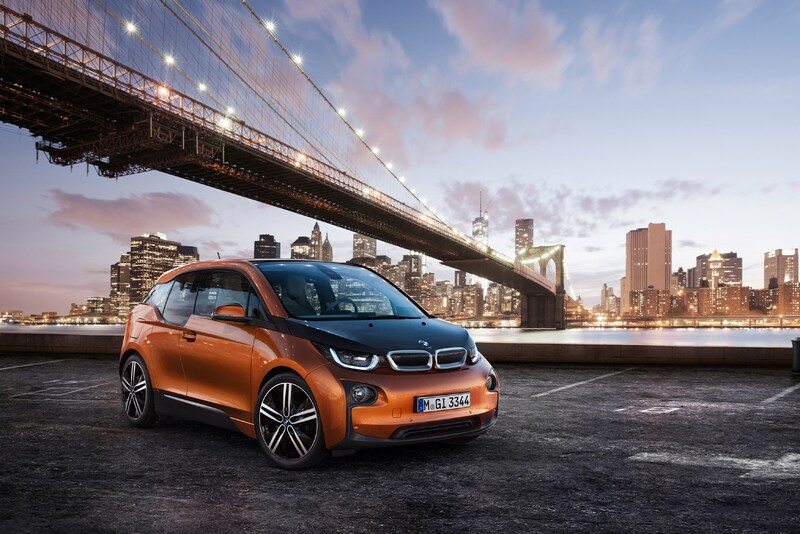 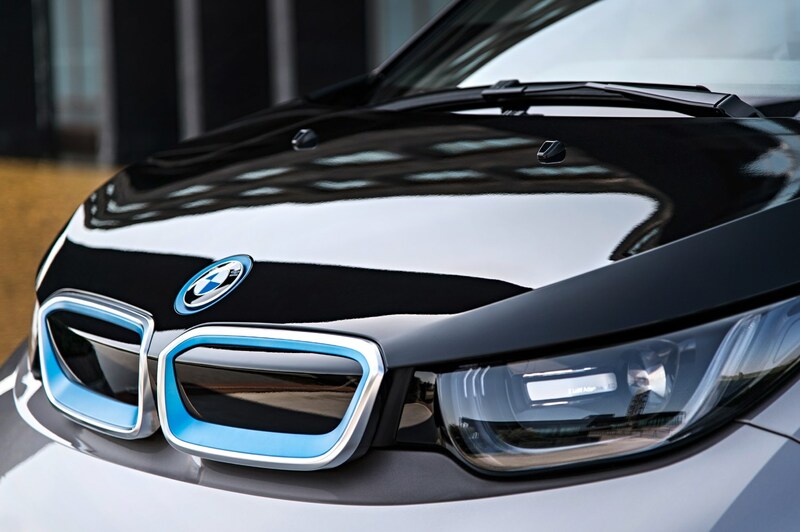 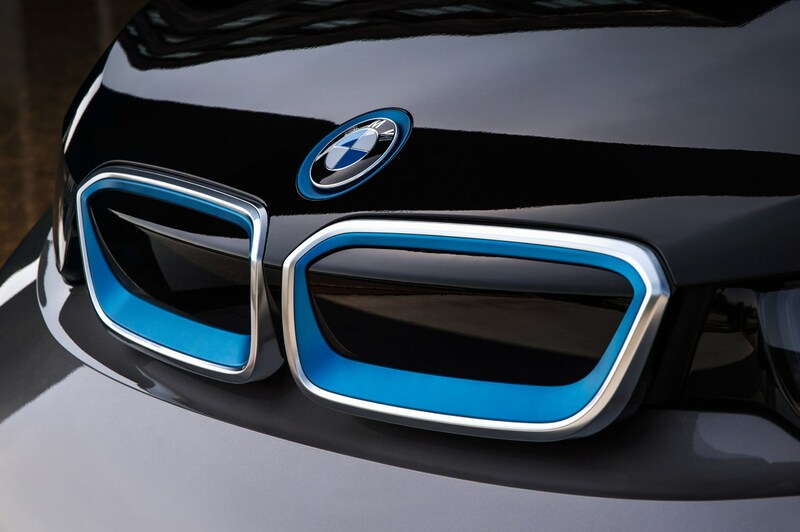 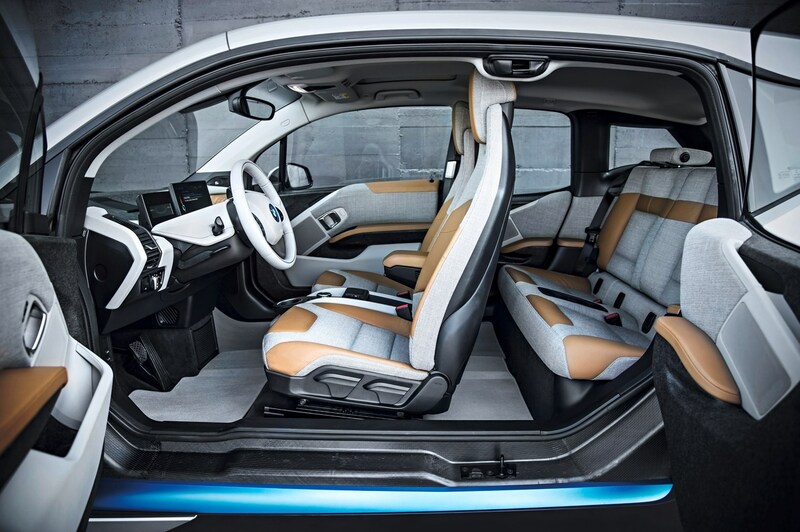 One of the key differences between the i3 and its rivals is its exotic construction; it uses materials more usually found in supercars than city cars. 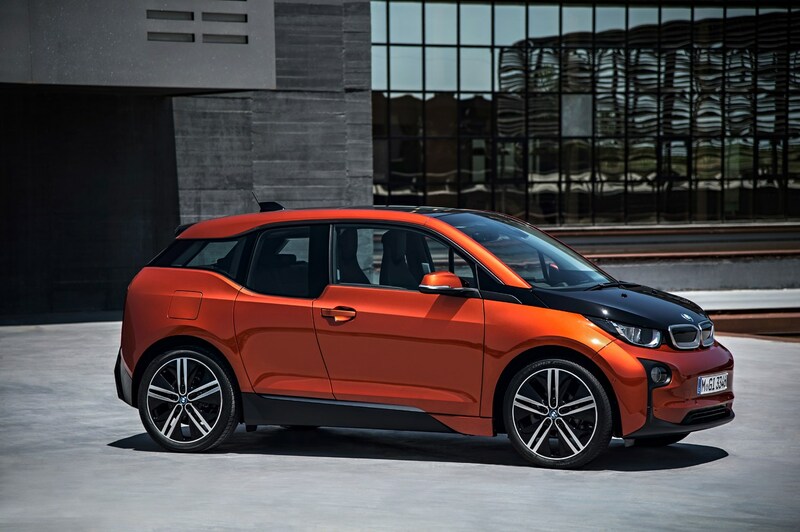 Every i3 is crafted from a mixture of lightweight aluminium for the chassis and carbonfibre-reinforced plastic for some structural parts and body panels. 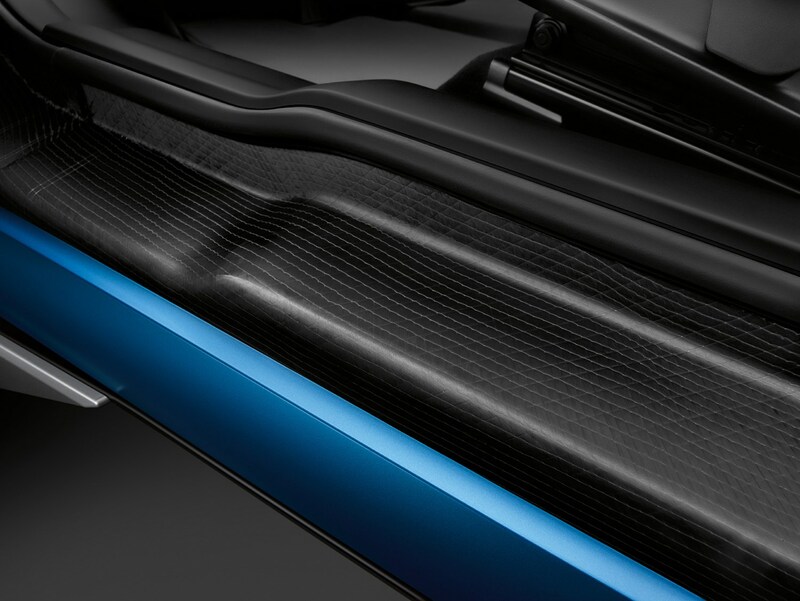 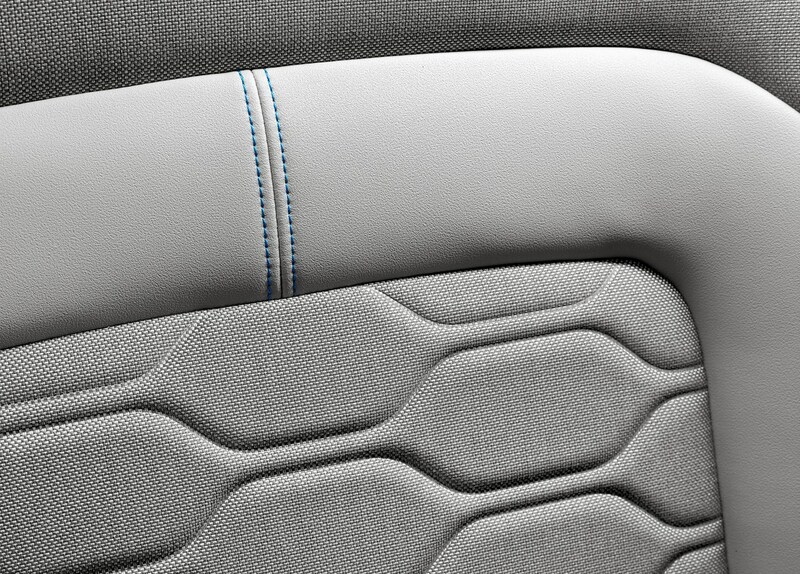 This lightweight approach helps make it more efficient - and boost performance. 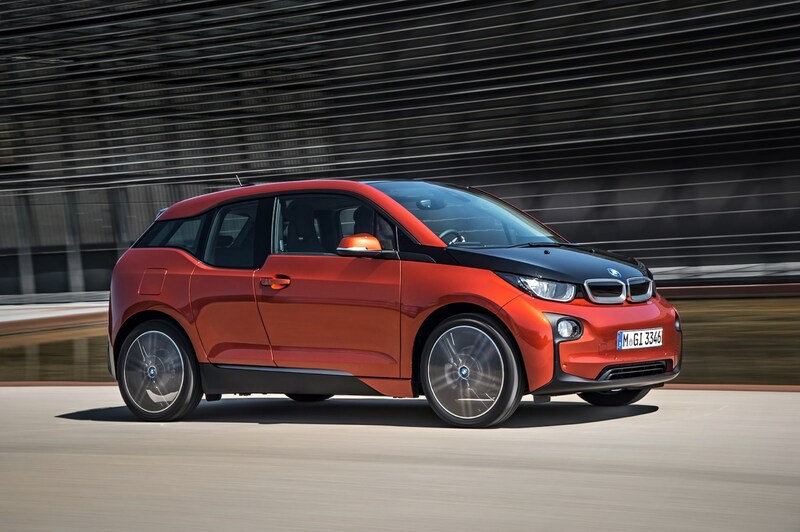 Against the clock the 0-62mph time is only 7.3 seconds (or 6.9 for the i3S), making it as quick as many hot hatchbacks thanks to the 170hp electric motor with 250Nm of torque or pulling power, the latter available instantly. 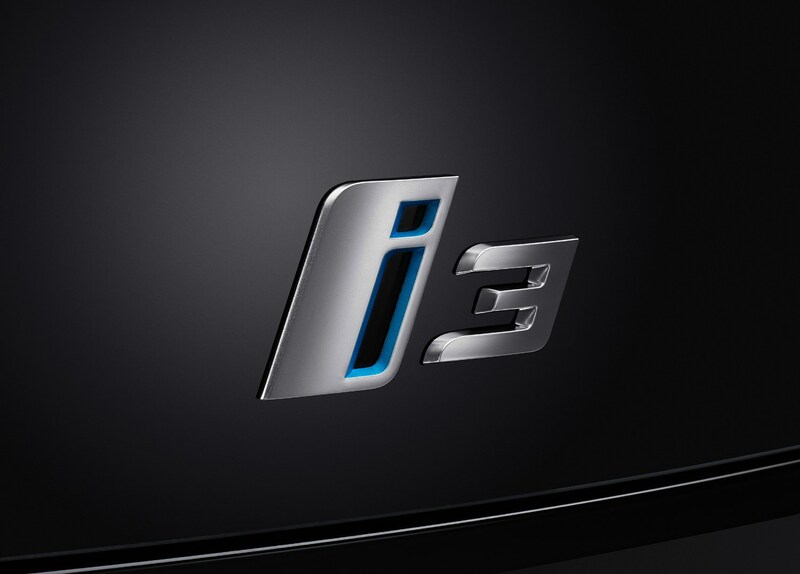 The more powerful i3S musters 183hp. 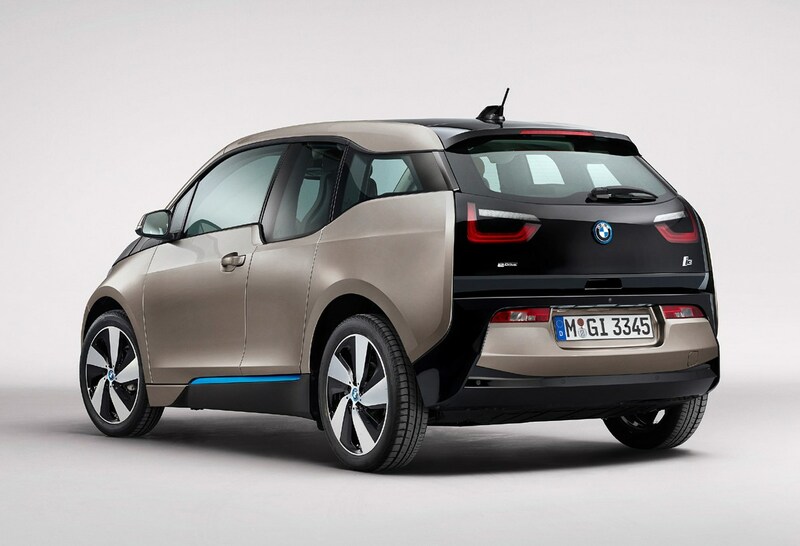 What is the EV range like on a BMW i3? 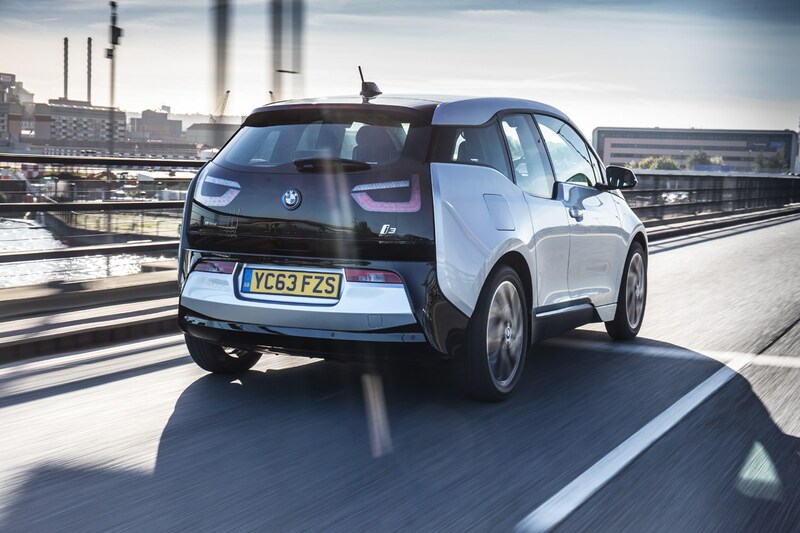 The range for the electric-only car is 186 miles, according to official European lab test figures - or 124 miles in more typical driving conditions. 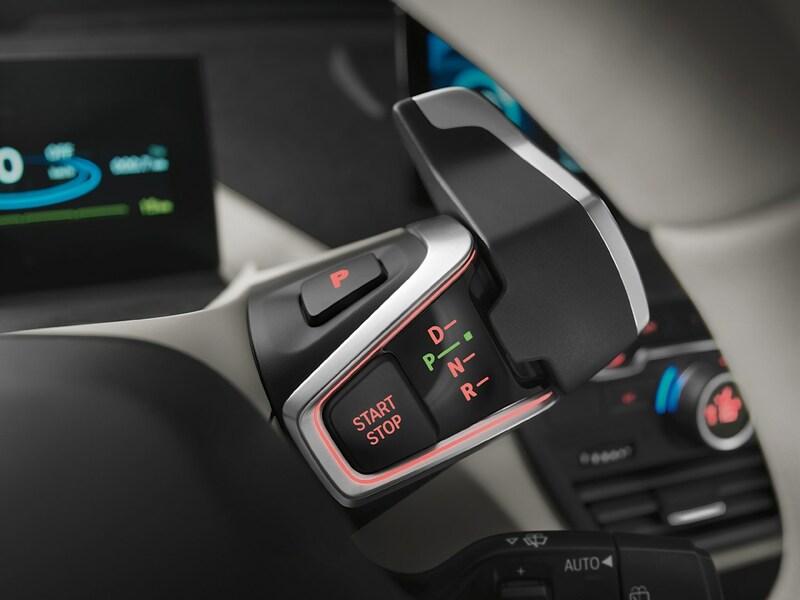 To achieve the best range, you must select Eco Pro or Eco Pro+ driving modes, which adjust climate control, throttle sensitivity and more to eke out more miles per volt. 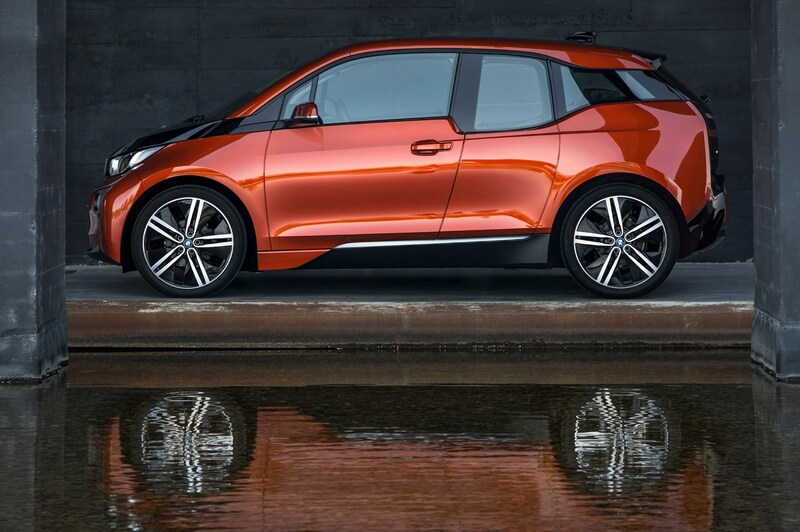 You’ll be able to charge your i3 from a domestic three-plug socket in around 10 hours, or as quickly as 30 minutes for an 80% charge using one of the fast-charging stations cropping up all over the UK. 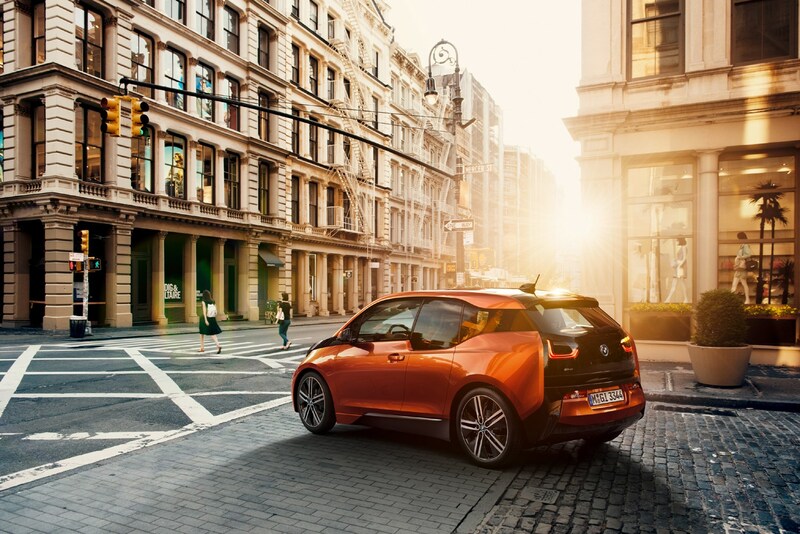 If that range puts you off, the BMW i3 Range Extender with its 650cc petrol engine increases the vehicle’s range up to 206 miles between charges. 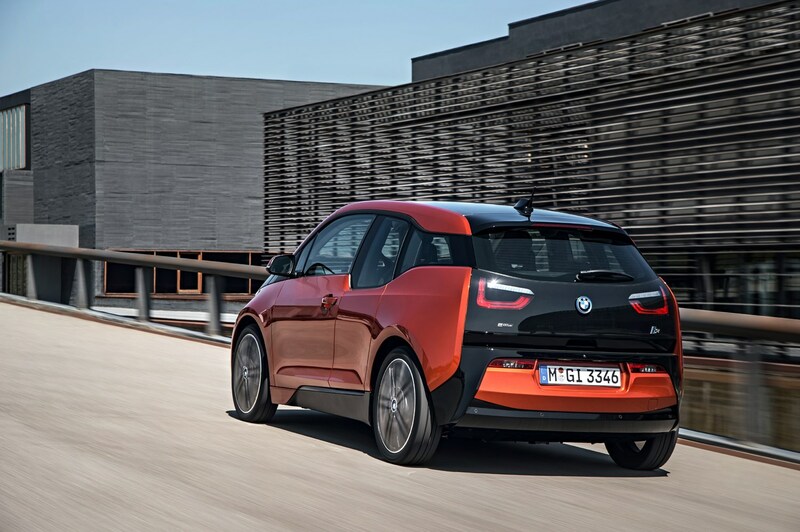 The diminutive two-cylinder petrol engine adds a modest 34bhp, but doesn’t add extra performance; in fact, the range-extended model is slower, taking 8.1 seconds to get from 0-62mph, as there’s more bulk to carry around (the i3S Range Extender is also slower, at 7.7 seconds compared with 6.9 seconds for the pure electric i3S). 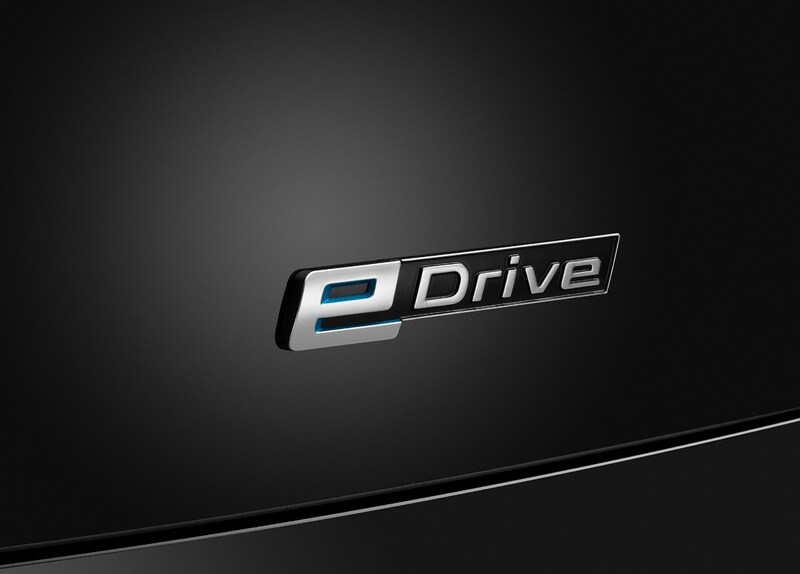 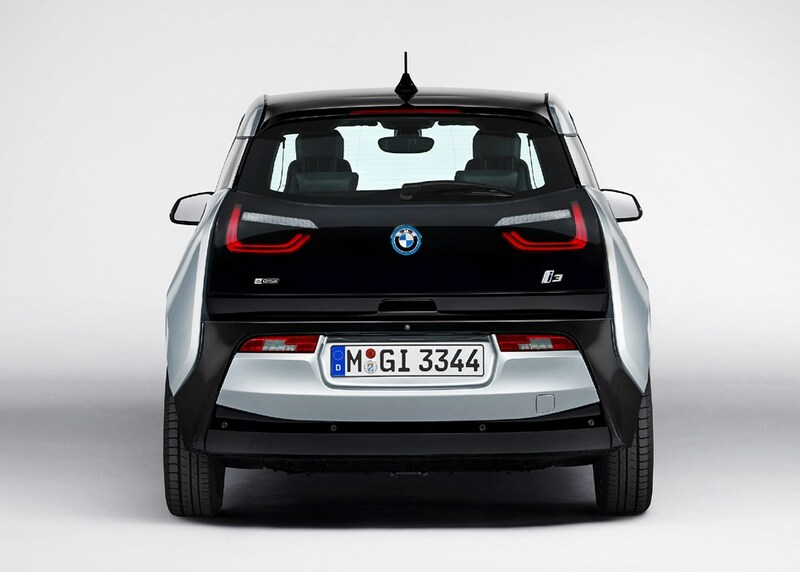 How does the i3 drive? 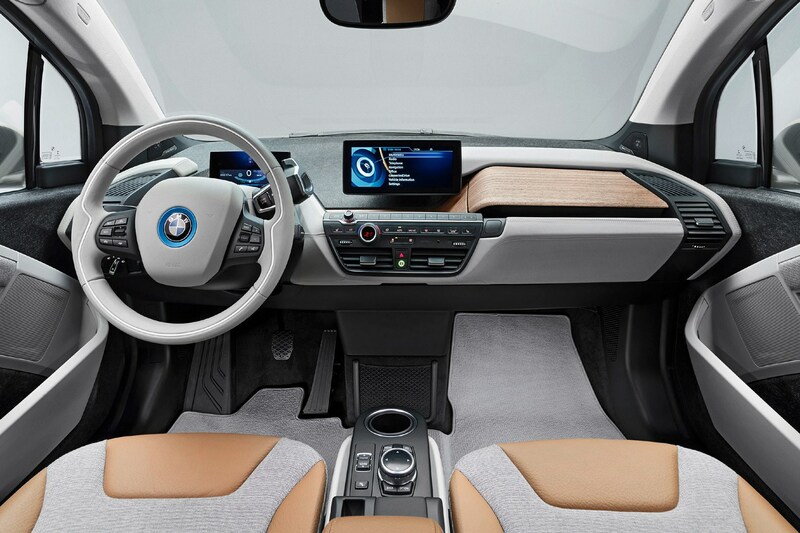 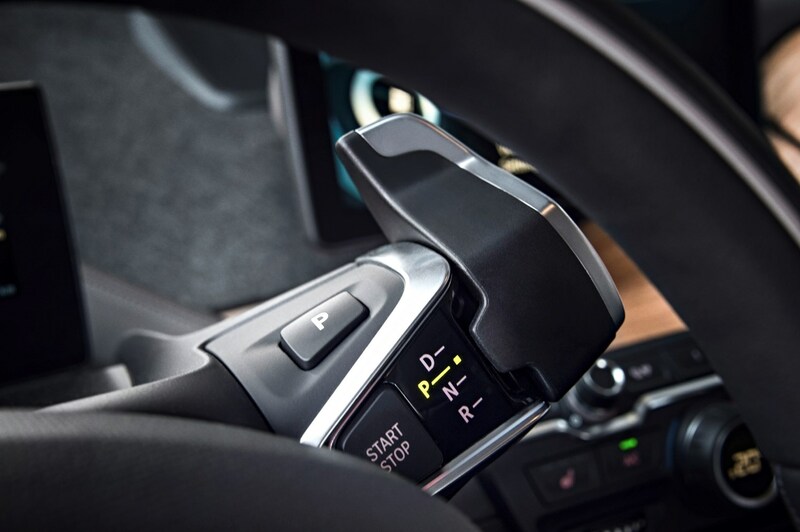 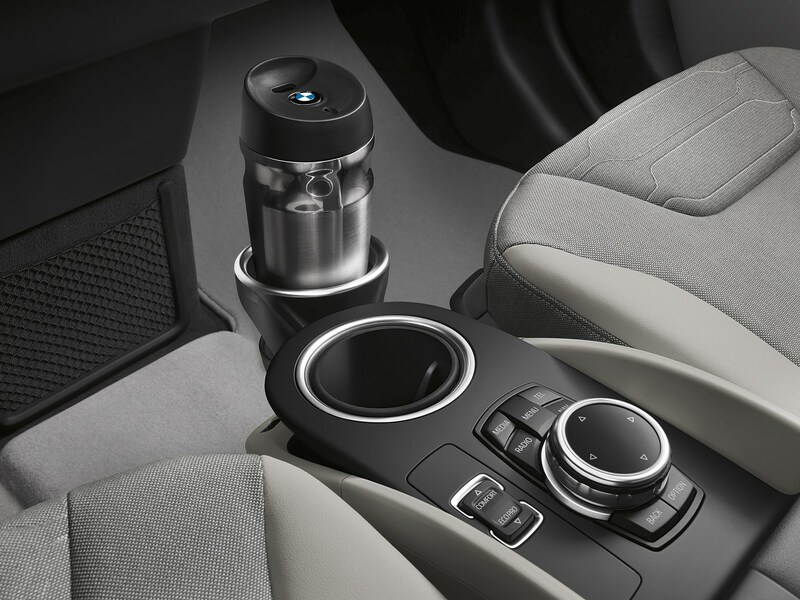 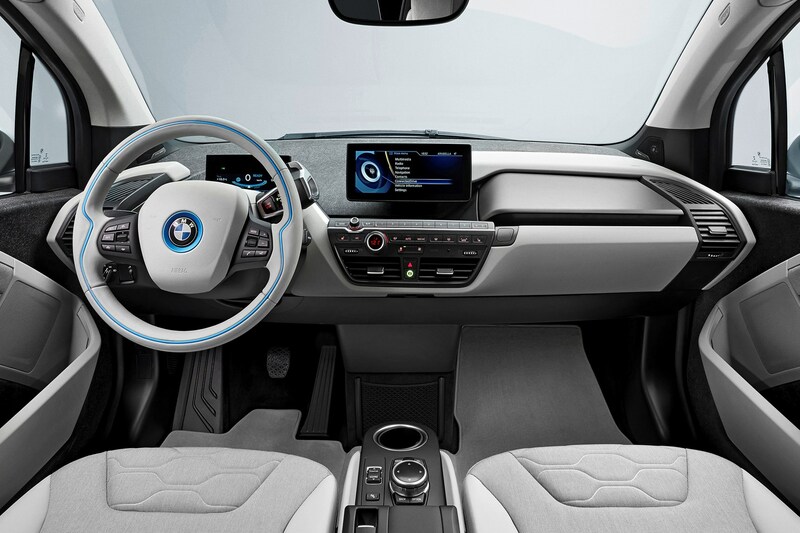 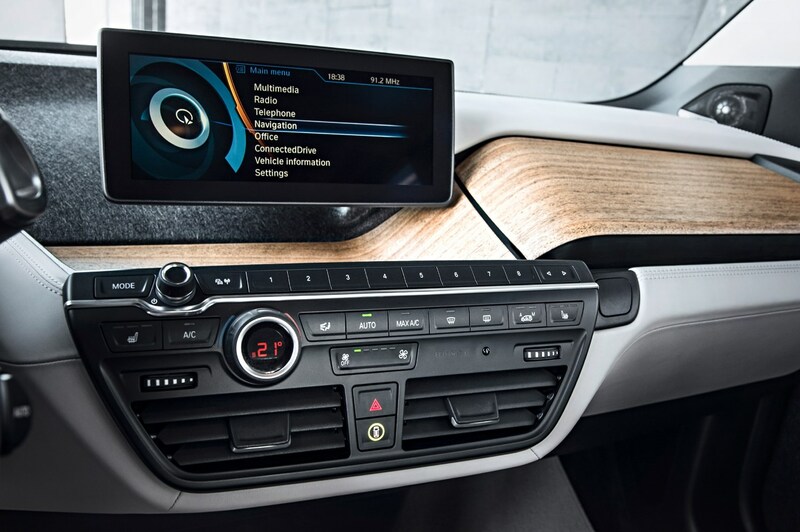 Like any automatic, the BMW i3 has two pedals – an accelerator and a brake – but can easily be driven in normal conditions using just the accelerator pedal. 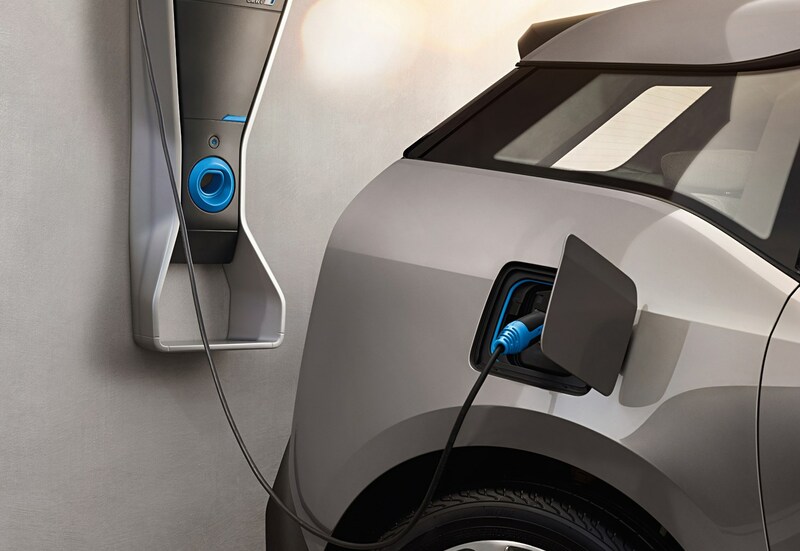 Regenerative braking is used to harvest energy under deceleration, slowing the car when the driver comes off the throttle. 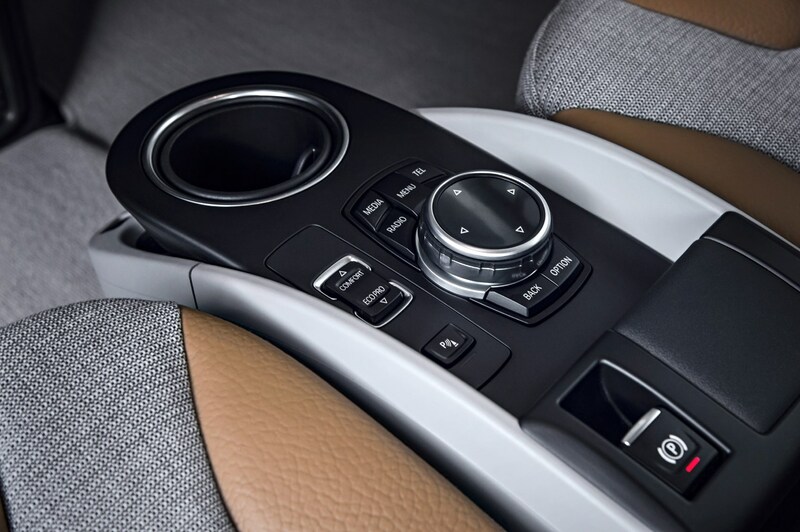 At higher speeds the car will 'coast' with very little retardation, while at lower speeds the decrease in speed when you lift off is more dramatic. 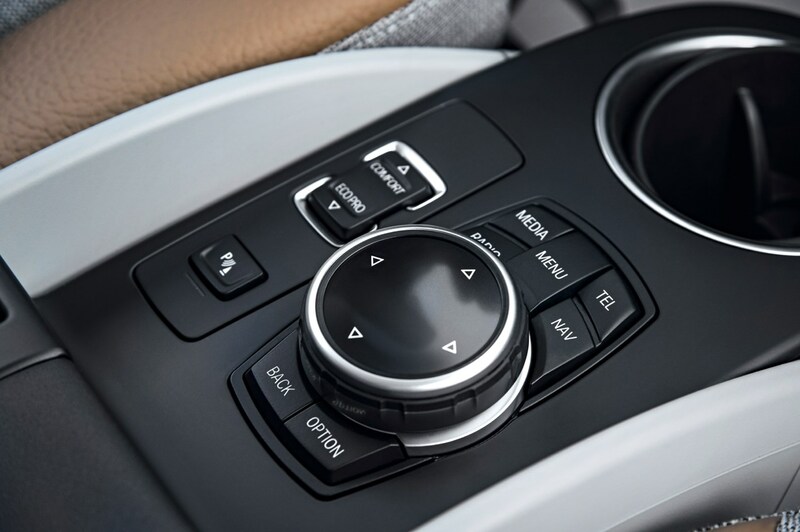 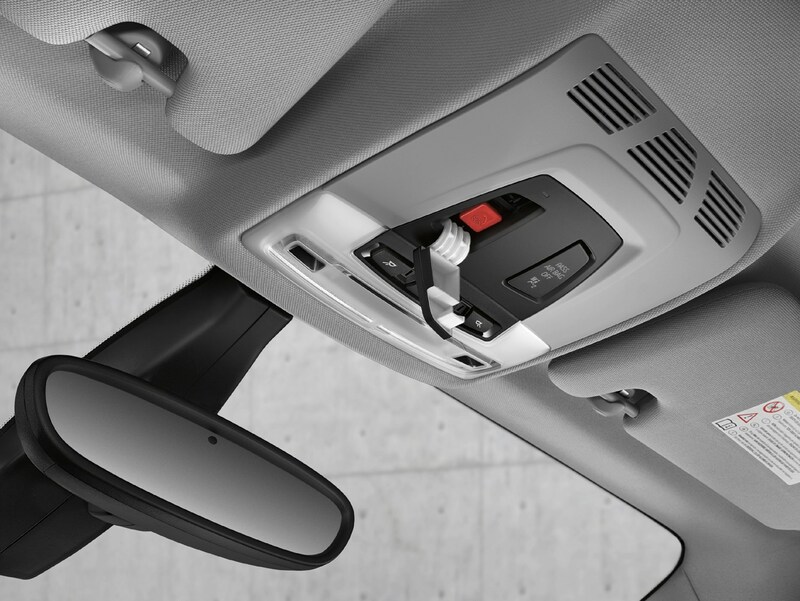 With a little forward planning, it means you can essentially drive using just one pedal. 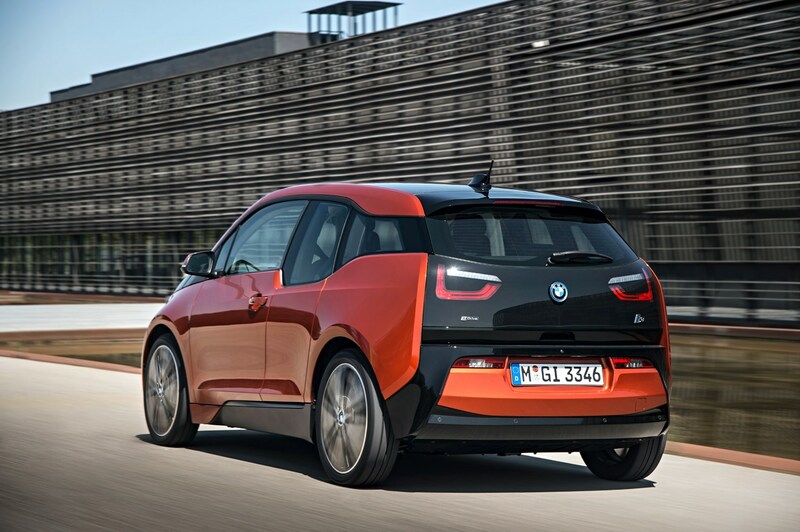 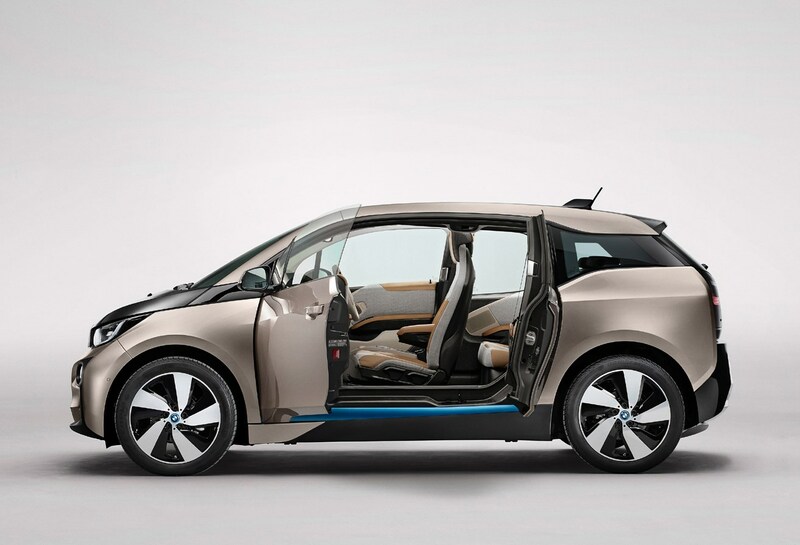 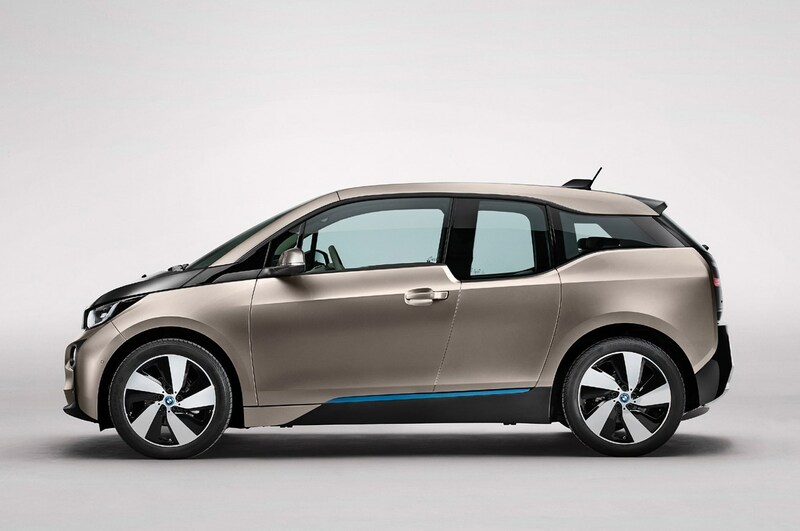 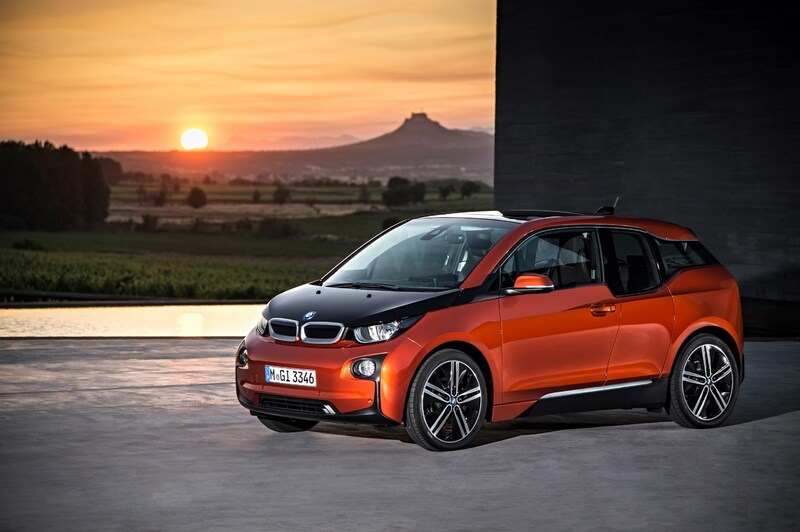 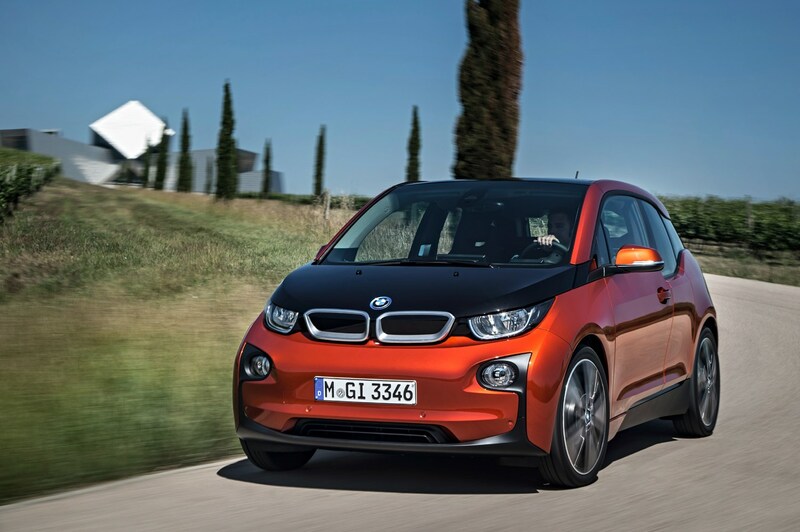 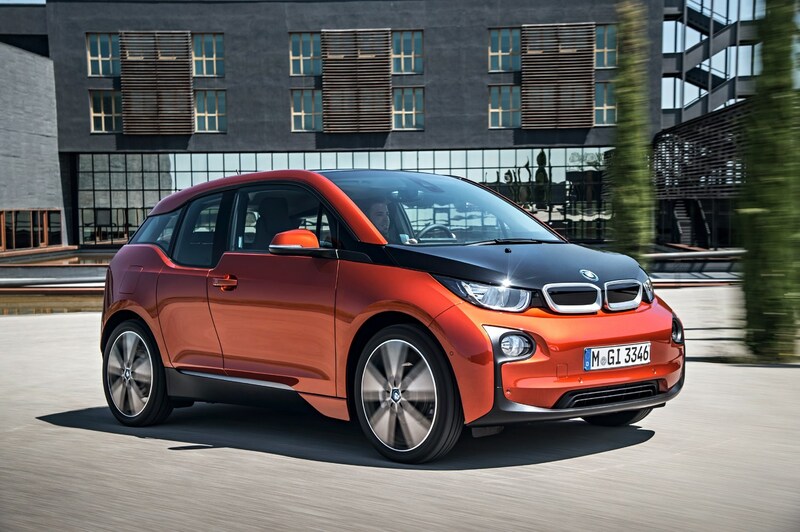 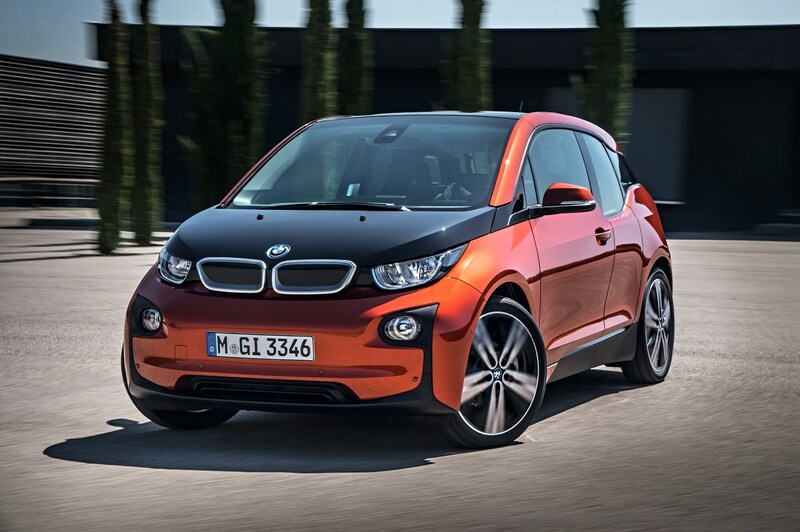 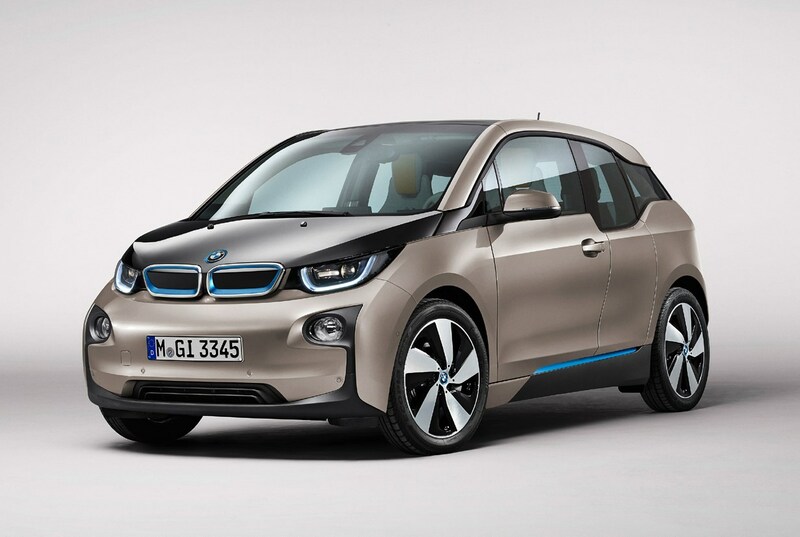 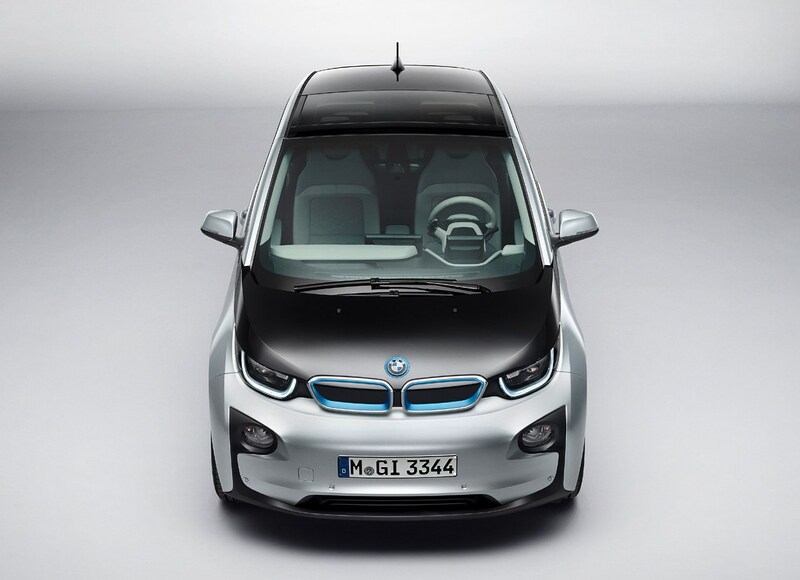 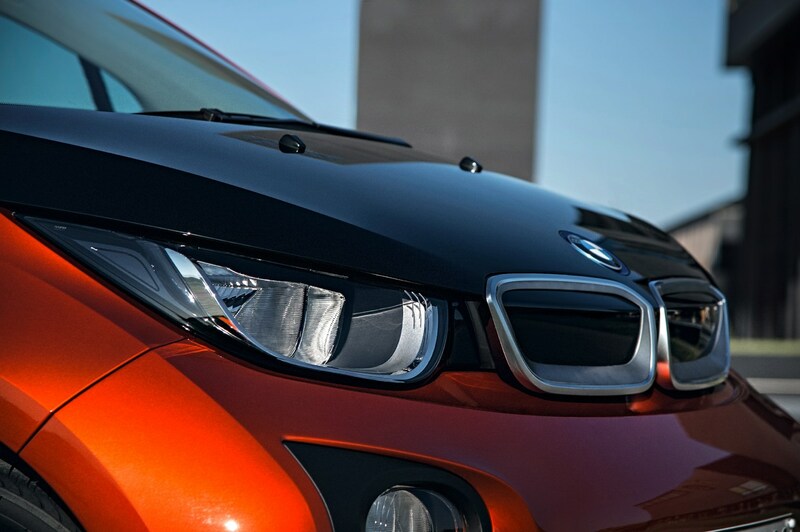 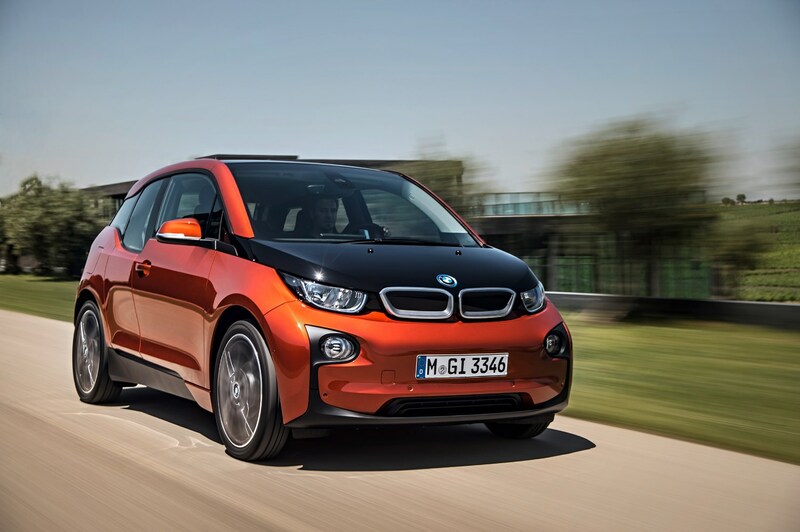 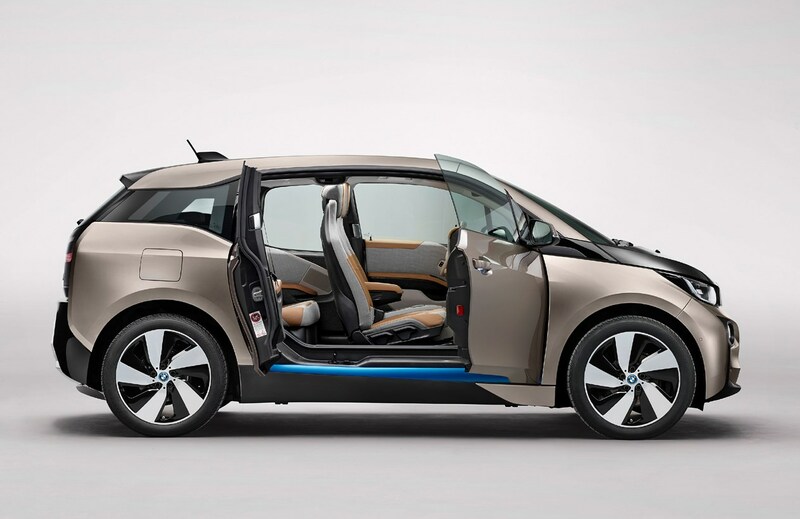 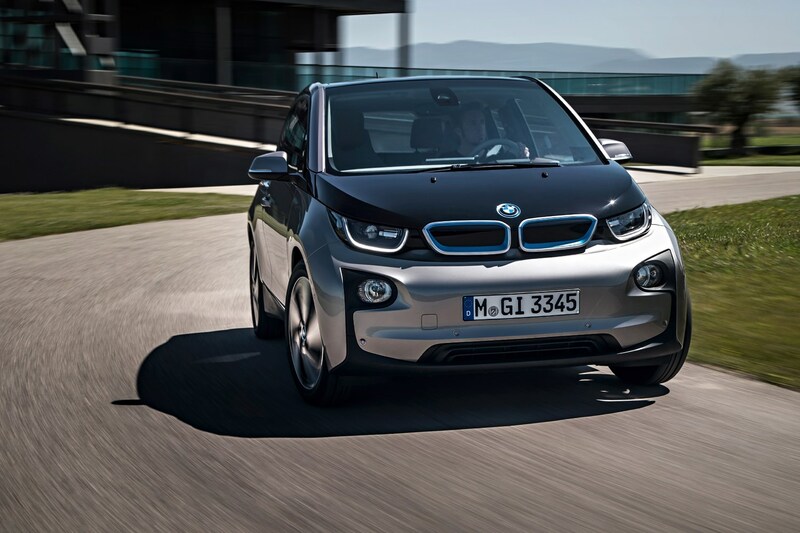 The i3 handles like a typical BMW, with feelsome steering, little body roll and a balanced chassis. 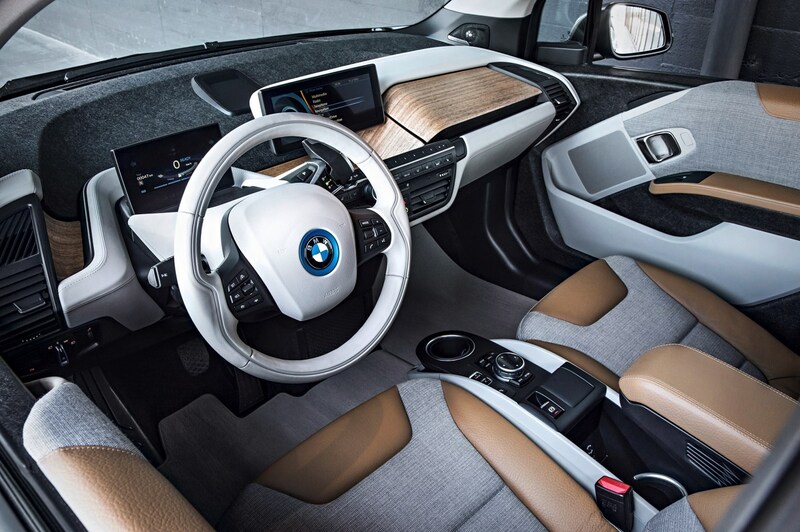 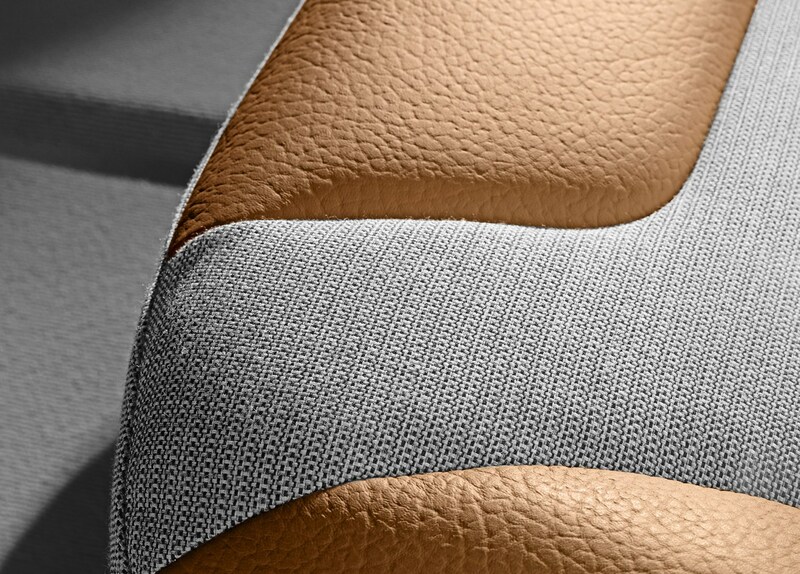 Only the firm suspension allowing for sharper imperfections to make their way into the cabin lets the package down; the ride can be quite jiggly. 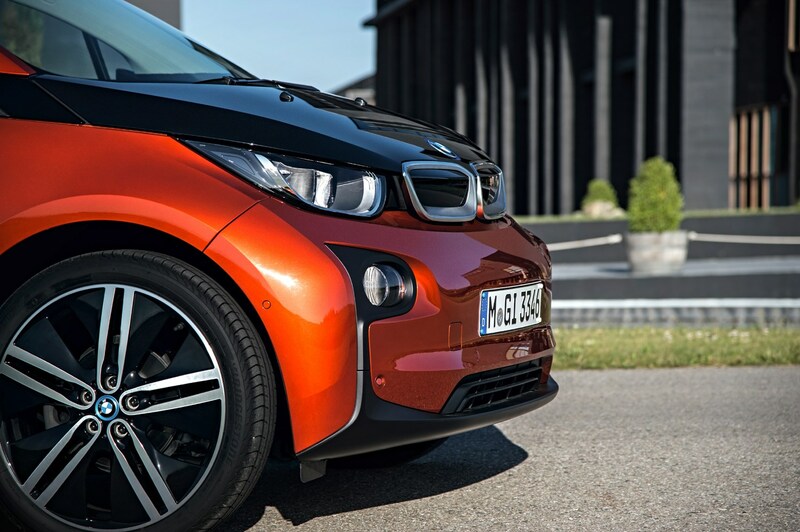 Otherwise it’s a refined, quiet and comfortable car that will be a viable proposition for many one-car households. 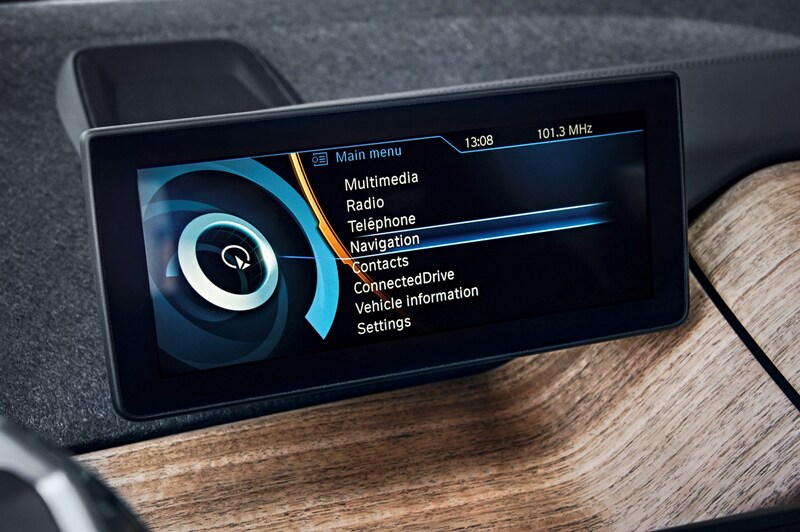 Technology is standard on the BMW i3, with a smartphone app allowing the driver to monitor the car’s status from afar and even set it to charge-up or heat the cabin remotely (a Godsend on frosty mornings). 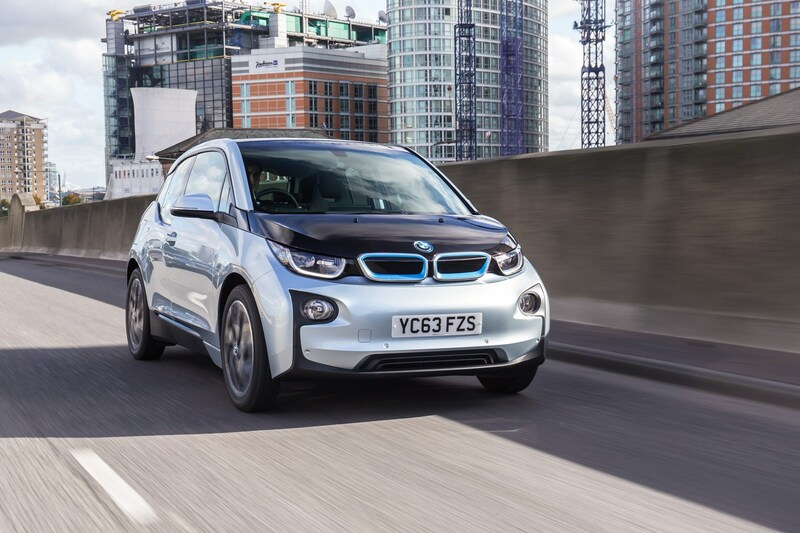 Planning your journey can also be done from the comfort of your phone, and routes sent directly to the sat-nav in the car – and if the i3 doesn’t expect you’ll make your destination on a single charge, it will advise you to switch to Eco Pro or Eco Pro+ mode and locate the nearest charging point en route. 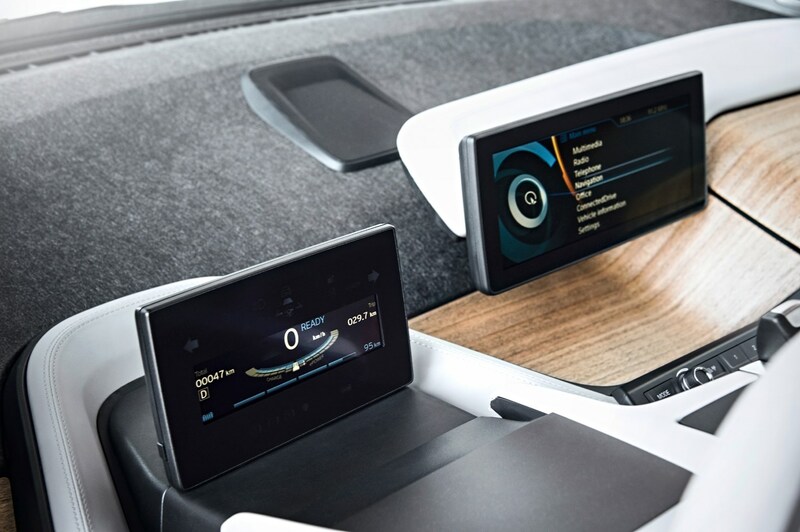 Owners can also buy a bespoke BMW i Wallbox for their home costing from £570, which can charge the car from zero to 80% in four hours. 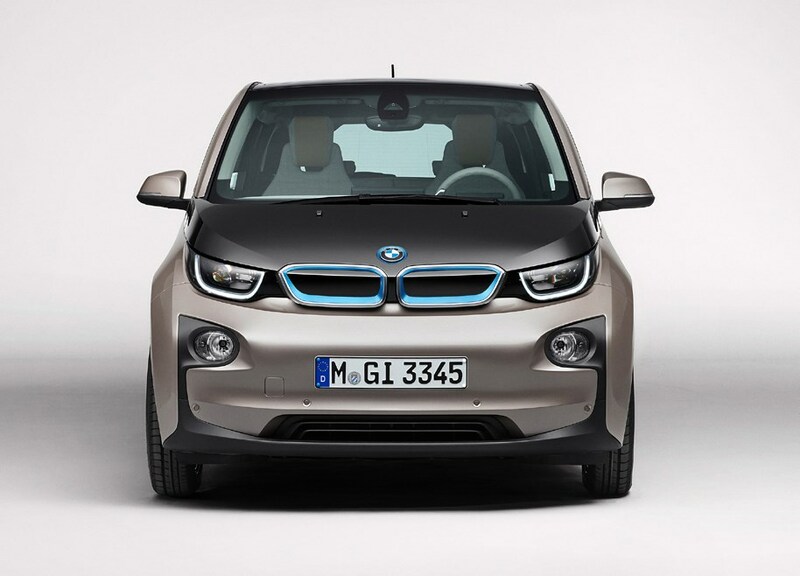 The i3’s home charging point is warranted for three years, just like the car. 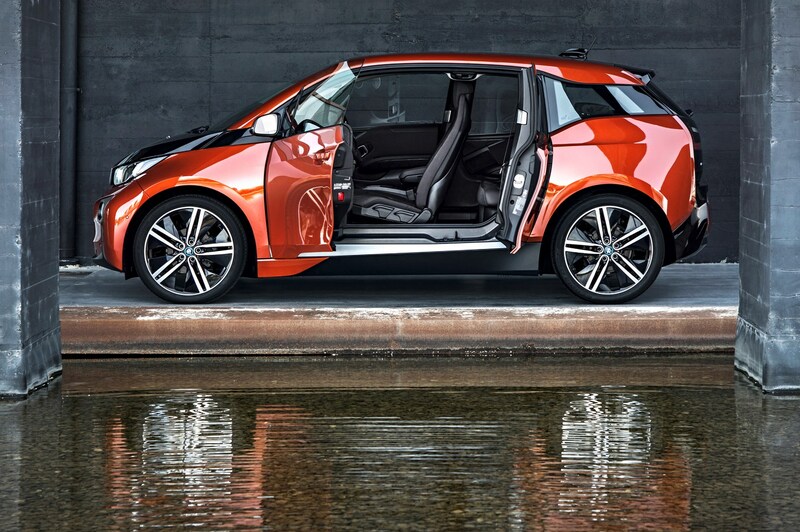 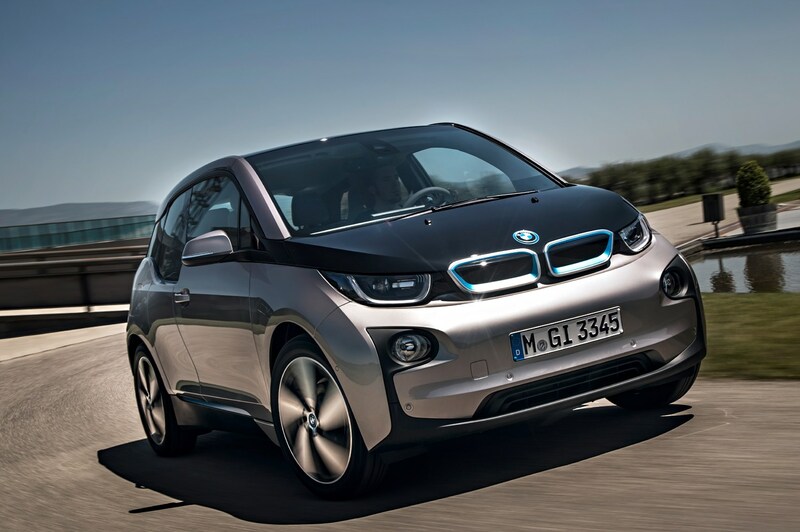 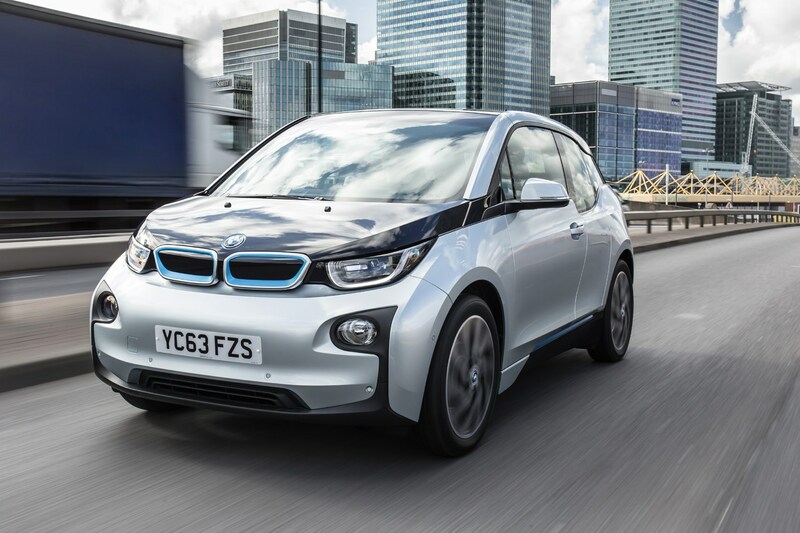 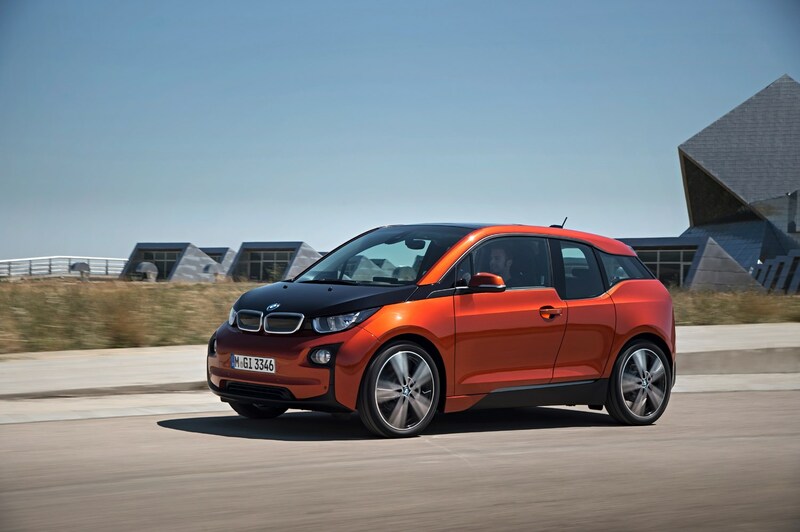 The BMW i3 hatchback is a sound buy that comes heartily recommended by us. 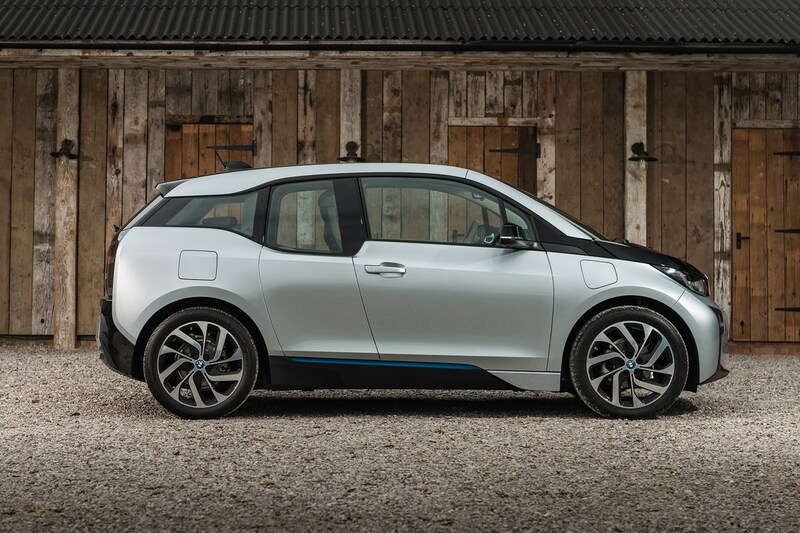 Get past the initial high purchase price, and it’s a brilliantly capable, genuinely green electric car that is well-suited to town chores and – in Range Extender form – longer journeys too.